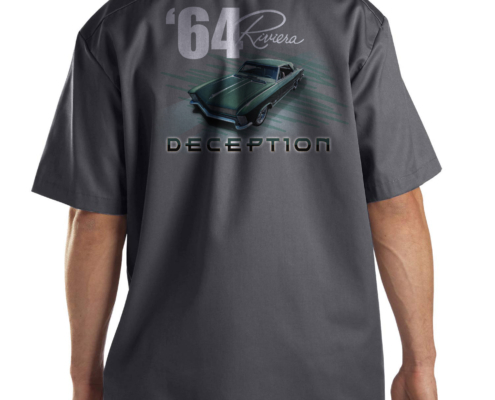 An other pleasure to create this design for my good friends Kenneth and Kenny Jr. 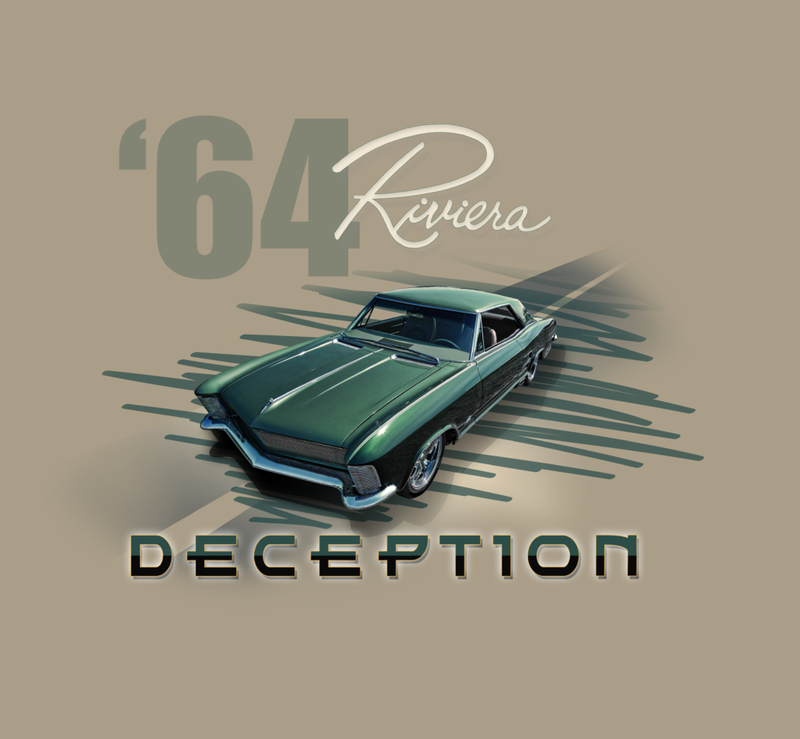 This graphic design based on the flyer I did recently for these cool guys, will be printed on a short sleeve work uniform they wanna wear at car shows, where they promote their “Deception”. 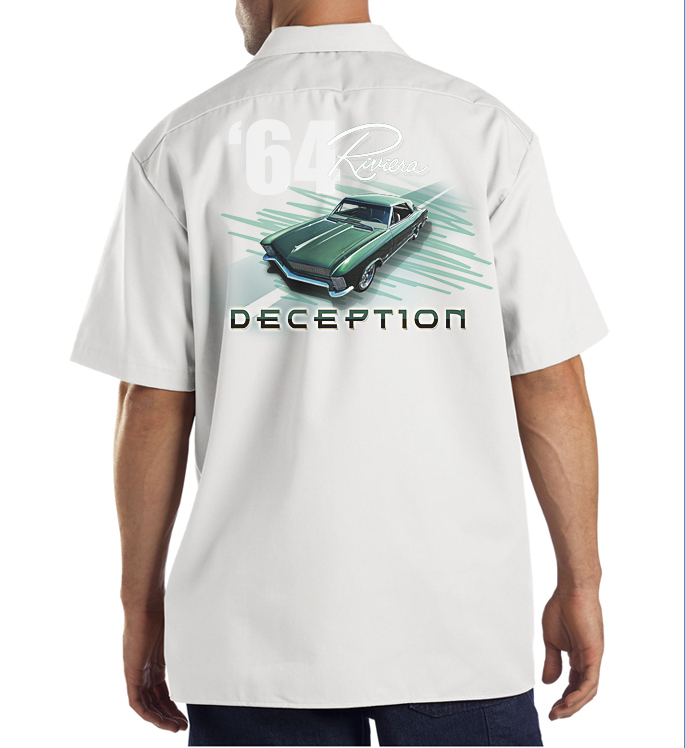 Watch out of the back of these guys!!! 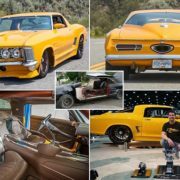 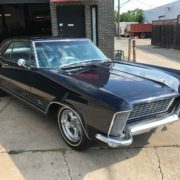 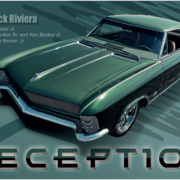 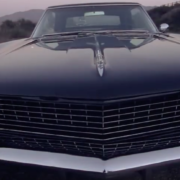 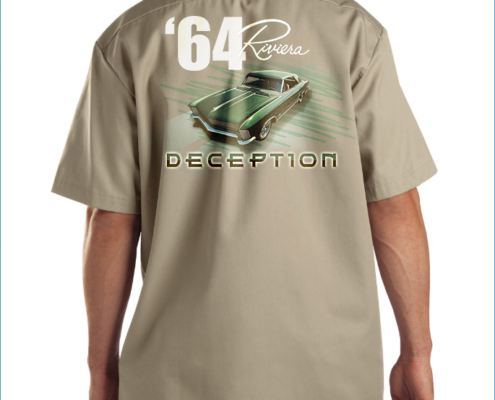 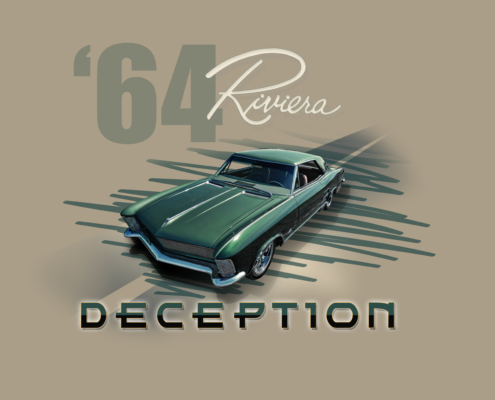 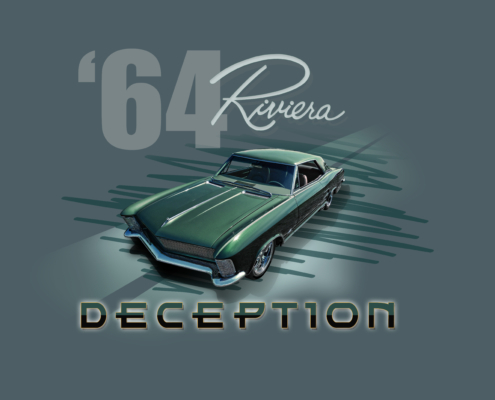 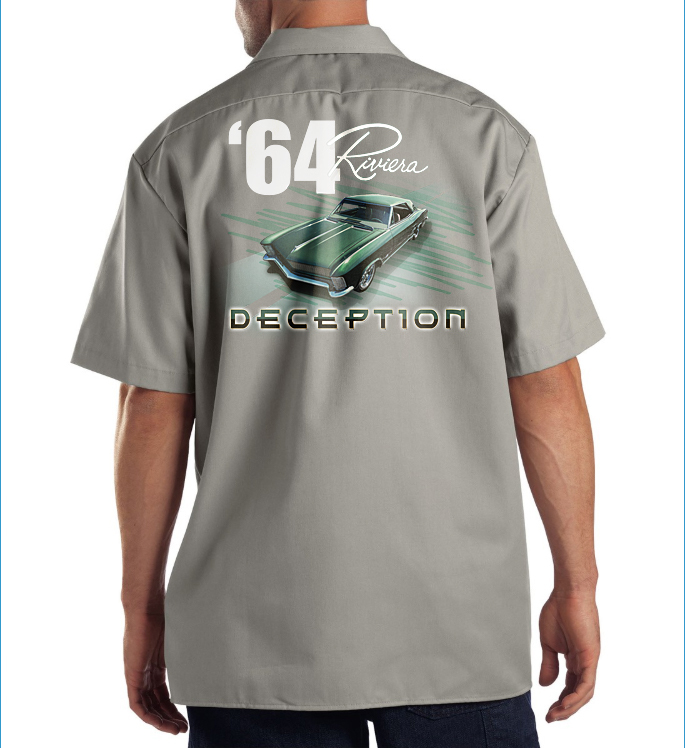 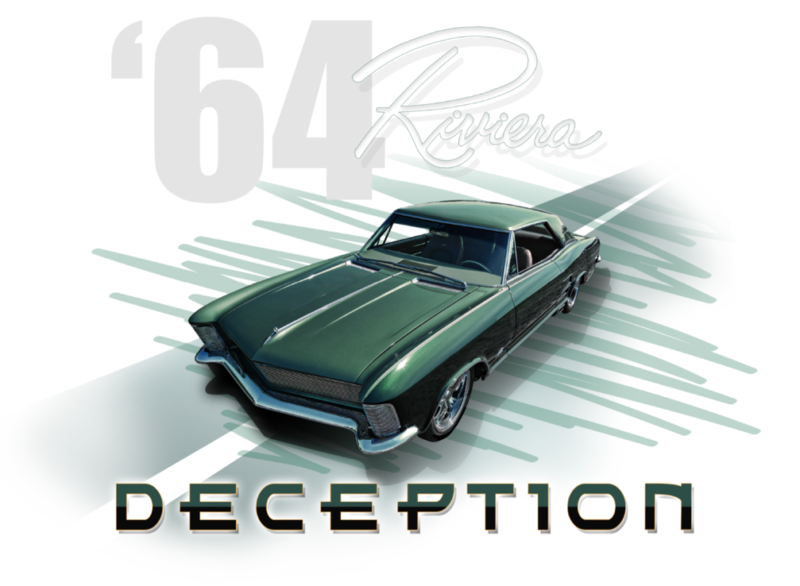 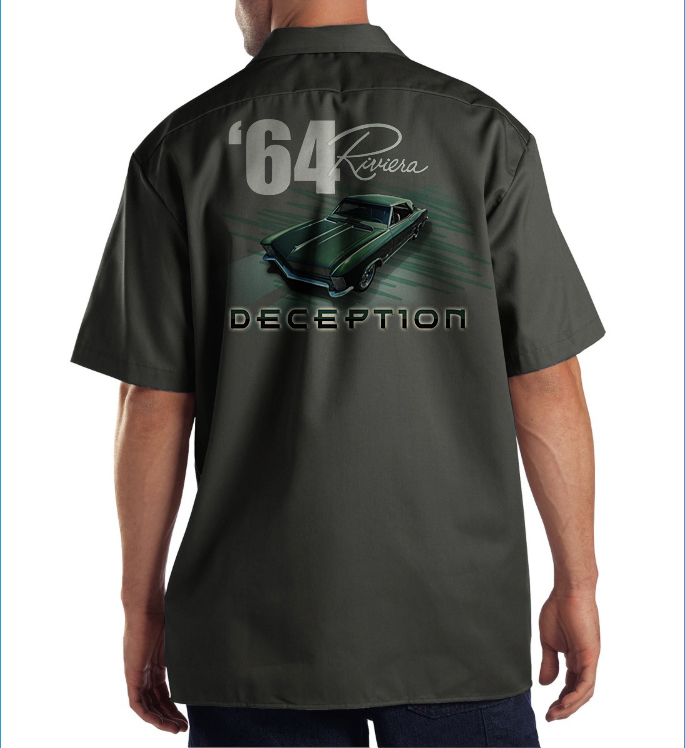 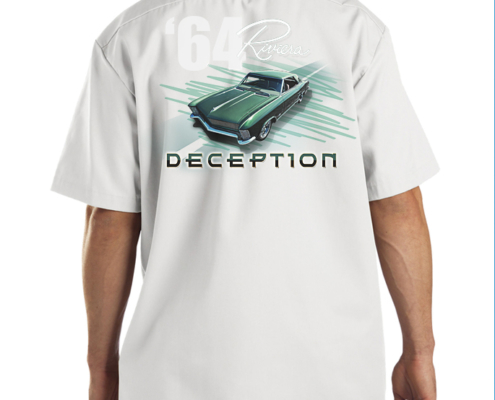 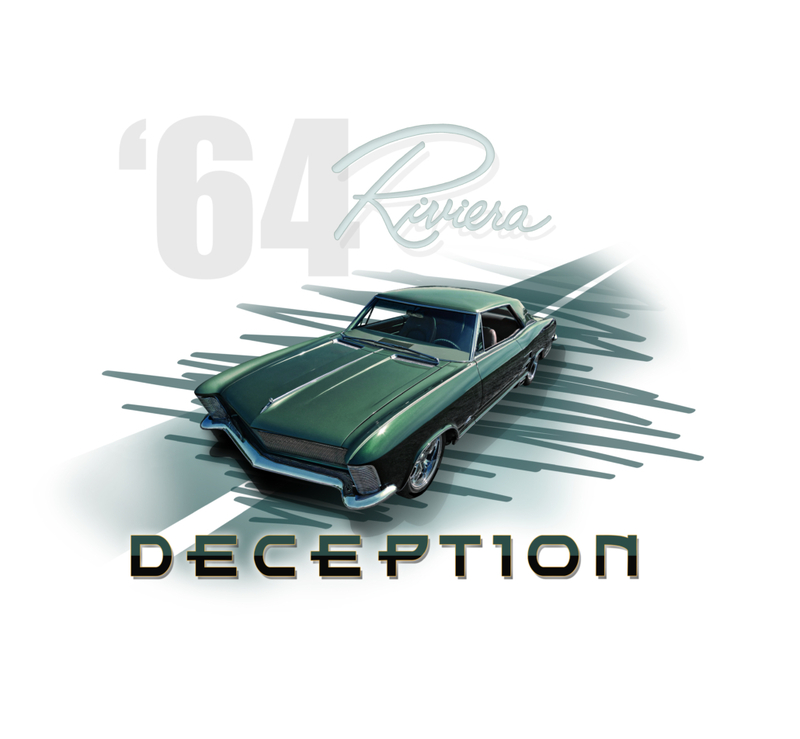 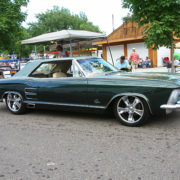 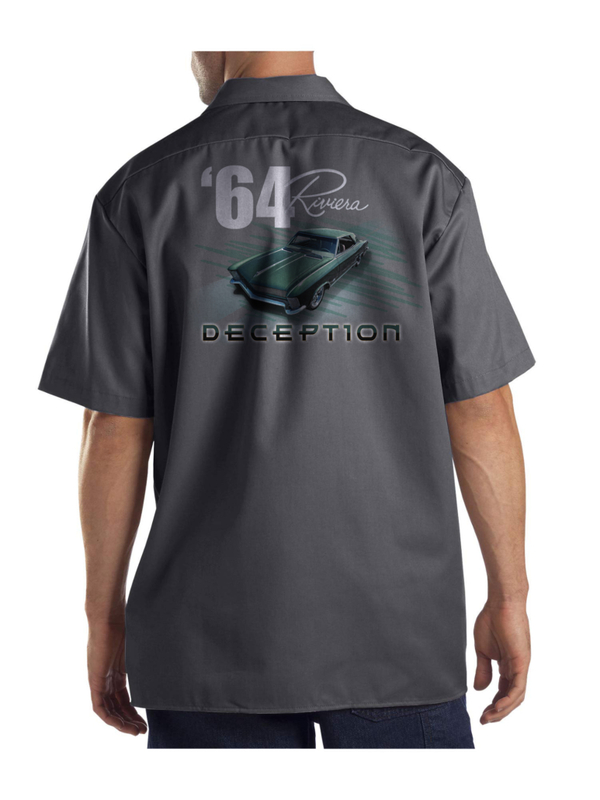 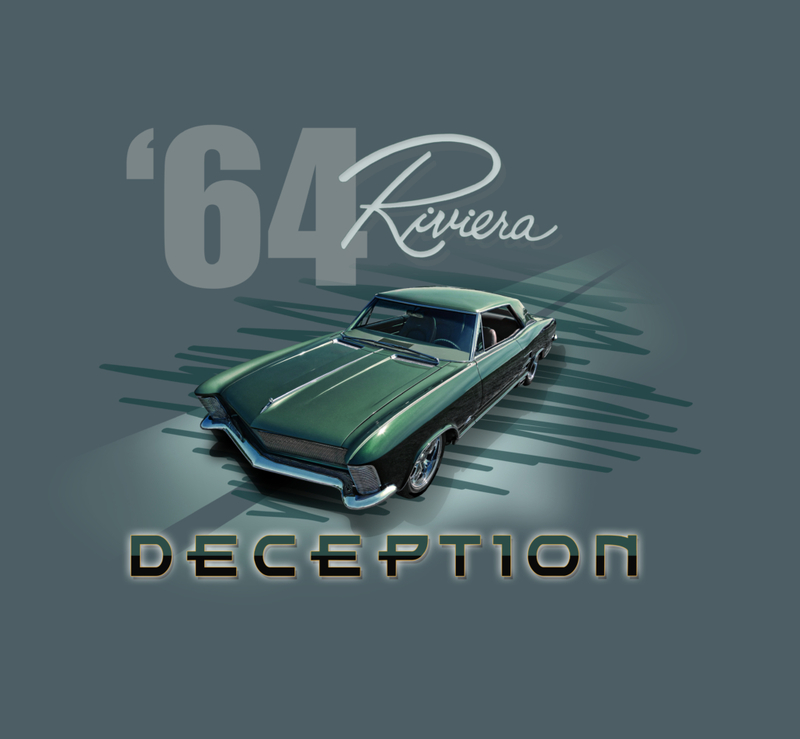 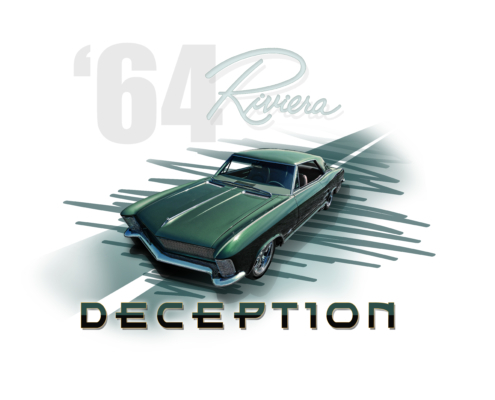 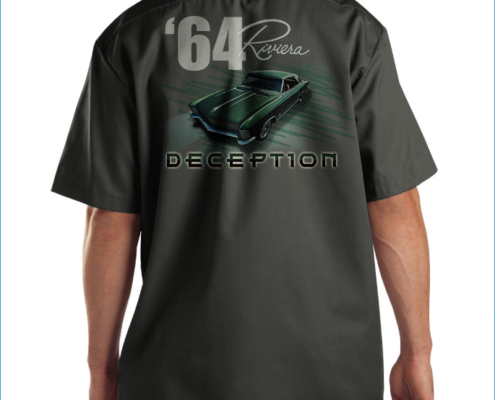 The Deception is a Father/Son project – a 1964 Buick Riviera restoration which took many years. 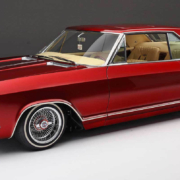 (I had already told about this car in previous blogs… Check them out!). 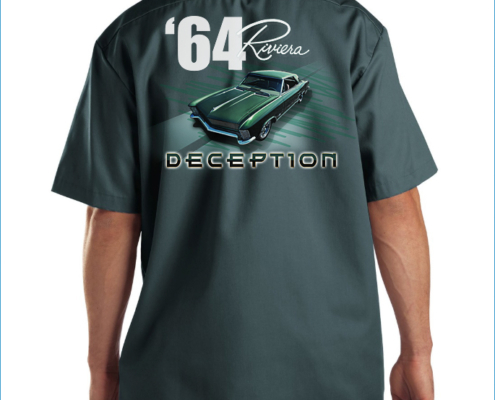 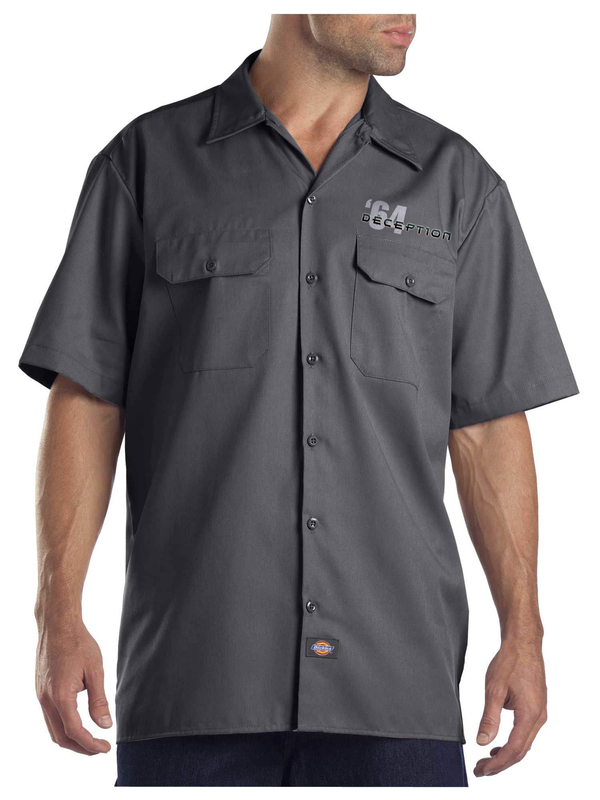 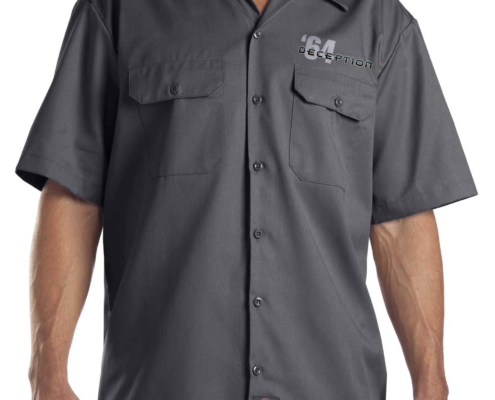 http://riviera65.com/wp-content/uploads/2018/08/shirt-design-deception-back.pdf-2018-08-12-17-35-30.png 906 1237 Schmiddy http://www.riviera65.com/wp-content/uploads/2017/02/logo_riviera65_small-1-300x146.png Schmiddy2018-08-12 15:50:592018-08-13 13:55:36Special shirt designs created for the "DECEPTION"